To view Active Listings in Oceanport click here Oceanport Real Estate. The Borough of Oceanport was incorporated in 1920. 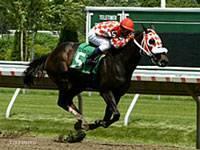 Oceanport is the home of Monmouth Park Racetrack and Fort Monmouth. Though only 3.2 square miles, Oceanport´s residents enjoy not only the Shrewsbury River, but various recreational sports programs, an active senior group and a true feeling of community. Oceanport boasts various volunteer organizations who give countless man hours to the community making it a place residents are proud to call home. Oceanport borders Little Silver to the NW, Long Branch to the east, Eatontown to the SW, and West Long Branch to the SE. It also shares a water border to the NE with Monmouth Beach and forms a peninsula, jutting into the Shrewsbury River. Oceanport is considered a Borough under the New Jersey municipal government. Oceanport is located at the head of the Shrewsbury River and is primarily a residential community with beautiful riverfront homes. This quiet town, once a port for New York bound steamships, places emphasis now on quality of life. Oceanports almost six thousand residents enjoy many amenities including a yacht club, swim club, and in the boroughs Blackberry Bay Park recreation area there are softball and baseball fields, tennis courts and a boat launch to the Shrewsbury river for residents. Visitors from near and far home in on Oceanport every summer, generally from Memorial Day through Labor Day, for celebration of the Sport of Kings thoroughbred horse racing at beautiful Monmouth Park, perhaps one of the prettiest race tracks in the country. Beautiful grounds, well-kept picnic areas and a variety of on-track restaurants offer something for every member of the family. And, yes, children are welcome at Monmouth Park Race Track. Monmouth Park is a throughbred horse race track and is home to the annual Haskell Invitational Handicap. The $1,000,000 Haskell, which next to the Triple Crown is horse racing biggest event and takes place each year in the summer at Monmouth Park. Oceanport can be separated into two sections. One is called Oceanport and the other is the Port-au Peck section. This section is a complete peninsula jutting into the Shrewsbury River. Oceanport real estate boasts many elegant waterfront homes. Oceanport is close to the communities of Little Silver, Long Branch, Monmouth Beach and Rumson. The New Jersey Transit train line which runs in front of Monmouth Park is the common separator to divide the two sections. New Jersey Monthly magazine ranked Oceanport as its 4th best place to live in its 2008 rankings of the "Best Places To Live" in New Jersey. Oceanport real estate boasts beautiful luxury estates, waterfront homes and riverfront condominiums. 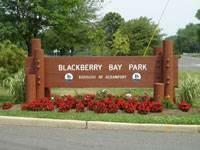 If you are interested in finding properties for sale in Oceanport we are here to help. Whether you are a first time home buyer or an investor, having a qualified Oceanport real estate specialist will be a great asset in making your home buying experience more enjoyable. For those thinking about placing your Oceanport home for sale, you can trust that you will receive help pricing and effectively marketing your home. Having a seasoned consultant available to you is beneficial if you are considering investing in Oceanport real estate. If you are thinking about purchasing Oceanport real estate call Carol to see what makes Oceanport not only a great investment, but a wonderful place to live. A unique opportunity to own Oceanport real estate is here in beautiful Monmouth County. I invite you to visit the Oceanport website. 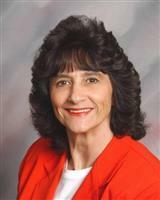 If you would like more information about buying or selling Oceanport Real Estate please contact Carol Mazza at 732-768-9404.